Ending weeks of searching for a suitable site to host the 2015 Egyptian Cup semi-final and final matches, the Egyptian Football Federation (Itihad El Zift) today announced that the Maadi Canal School has been selected for the concluding stages of Egypt's oldest football tournament. 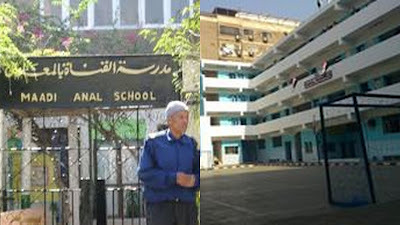 Maadi Canal School -- which promotes itself as "Canal Scools - Canal Schools best language schools in Egypt" -- boasts a newly laid dirt field off Road 82 in the Cairo suburb of Maadi. The semi-finals pit Ahly against Petrojet on September 16 and Zamalek versus Smouha on September 17. The Cup final will be played on September 21. All match dates are subject to coordination with the pending Parliamentary election cycle, and Ahly receiving satisfactory assurances that they will not be further humiliated following their atrocious League campaign. Up to seven spectators from each side will be permitted to attend the matches, and will be provided with gift backpacks from local sponsor Adam Bookshop.